The humble salon website. Created in Wix sometime in 2012, and quickly forgotten about because it’s literally too annoying to even acknowledge. Every once in a while you happen to click on your website only to cringe. Your former staff members are still there. Your new client work isn’t represented. The colours no longer match your brand. And it just doesn’t look right from your phone. I get it. Doing a website is hard. Social media can be an absolute breeze compared to updating a website. So you leave it alone and try to forget about it. But did you know that your clients (and potential clients) are looking at your website all the time? That people see it from Google, from their Instagram, or when they’re considering trying out a new beauty business. Did you ever think of your website as the digital "face" of your salon? 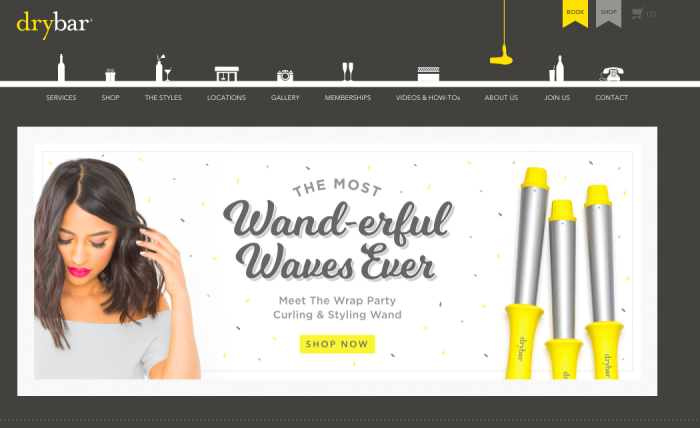 In this article, I’ll showcase some of the most beautiful and functional salon websites on the internet and show you exactly what they’re doing right. 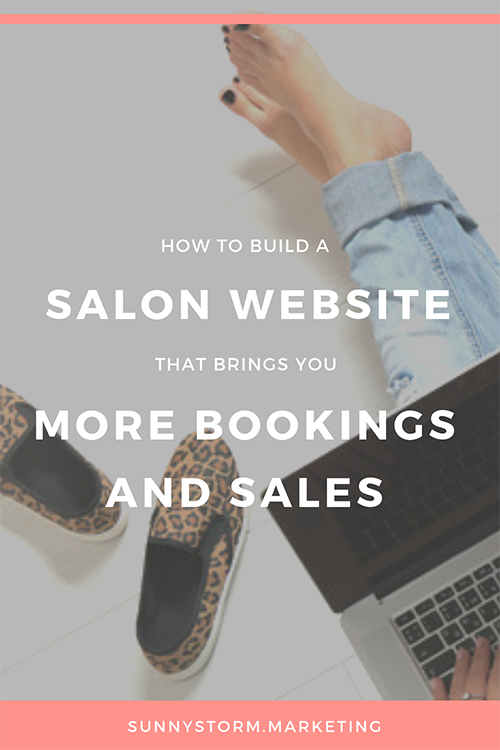 With a little inspiration and a few cool tools, you’ll be ready to make your own salon website a masterpiece. People judge you based on your website. It sounds harsh, but it’s true. Websites are often overlooked, but they can do some pretty cool things if done right. For example, did you know that your salon website can do these things? 1) Your website can collect the email addresses of your visitors, so you can send them a new client discount via email, and then send them automated emails and turn them into loyal clients. 2) You can make a list of every person that’s visited your website in the last 6 months and target them with ads on Facebook (it’s true!). 3) You can get your website visitors to send you a message on Facebook, or even better, direct them to a salon chatbot to answer any questions they might have. 4) If you have a strong colour palette, representing it on your website will help your followers easily identify your posts on Instagram and Facebook, even when they’re just “Insta-scrolling”. 5) Your website can show off your client testimonials from Facebook and show your most recent work from Instagram. 6) Having a website with the right content can get you to the top of Google faster than any other method. So yes, websites can be awesome yet are often underestimated. If you’re nodding your head thinking “Yeah, I don’t actually love my website,” don’t despair! The best way to learn is by watching, and I’ve picked through hundreds of salon websites, pinpointed exactly what the best ones are doing, and put it in a list for you. Before creating your website structure, or choosing your images and colours, the most important parts of your website are the words you put into it. Words say so much about who you are, what you do, and what you believe. So take your time with them, but keep them short, sweet, and meaningful. Words have power, but you have to choose the right ones and use them sparingly. They've summed up exactly who they are and why clients love them in just two sentences. 1) "Write the way you talk. Naturally.” No one likes reading fluffy, stuffy websites. They'll just skim right past the words that took you forever to write. Write from your heart and be natural. 2) "Use short words, short sentences and short paragraphs.” Just do it. Think different. Because I'm worth it. These sentences are super short, but pack such power. Think the same way when writing for your salon website. 3) "Before you send your letter or memo, make sure it is crystal clear what you want the recipient to do.” Substitute "letter" with "website" and "recipient" with "visitor" (remember, there was no internet in the 60s! ), and you'll see what Ogilvy meant. Everything that you write has to have a purpose. Get your purpose clear in your mind first, then go for it. To get photos like this, you'll have to get a professional photographer come in, however. And that can cost quite a pretty penny. Your other options are to use stock photos (you can get free ones from Pexels) or take the photos yourself. I actually prefer the DIY method because first of all, people can spot "fake" stock beauty photos from a mile away, and secondly, it's not that hard to take pretty good pictures from your phone. I'm planning an upcoming blog post on how to take amazing pictures from your phone, so watch out for that. A large part of your website visitors go there for the sole purpose of getting in touch with you to ask you a question or book an appointment. So please don't make it tricky to get in touch! 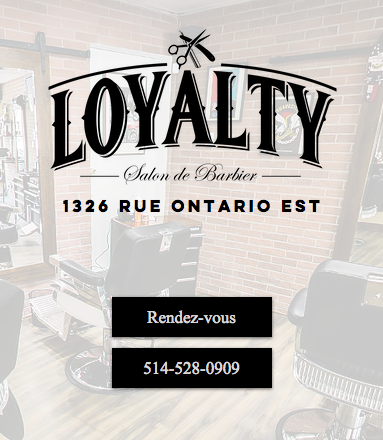 If you're on this website from your phone (which more than half of people are), the phone number is clickable, which means you just have to tap and you can call the barber shop. A call to action is the one thing that you really want your visitors to do on each page. Usually it's a button that will get them to take an important action. Since they specialize in facials, Heyday has their “book a facial” call to action (the button in the top right) that follows you around on their homepage. The lesson here is to understand the single most important thing you want your visitors to do on each page - whether that's to call you, to book an appointment, to watch a video, to follow you on Instagram - and make that stand out. If you've been following my blog posts, you probably know that I'm obsessed with salon branding. If you don't have a salon brand yet, I strongly suggest you go and get one. Your website should match your own branding style, whatever that is. It will help your clients identify with you even more when they visit your page. On the homepage of their website, they have a behind-the-scenes salon video, staff profiles (including their salon puppy! ), and a group photo. Their individual staff profiles are also very well done, with animated profile pics, a personal message, and links to their personal social profiles. People want to like and trust you, but you have to give them a chance. Be real, be human and show your true colours on your website. The hard truth about having a website is that most people will visit, look around and then jump off without you ever hearing from them again. I know, it's sad. But you can actually grab a large amount of these people, keep in contact with them, and eventually turn them into paying clients if you do one thing: get their email addresses. If you join their mailing list, not only do you get a free Olaplex treatment, but you also get added to their newsletter to get exclusive offers, last minute availability, and fun stuff. Make sure to give your visitors a reason to join, and treat their email addresses like gold (ie only send high quality emails with valuable content). Once you've gotten their email address, be sure to plug it into an automated email sequence through your email service provider so they'll get not only your "welcome offer" but all of your future newsletters. Your website doesn't have to be a boring, static, ho-hum place where fun goes to die (sorry, that was a bit dramatic). One of my favourite ways of keeping a website fresh is to (1) Keep a constantly updated blog (like what you're reading right now) and (2) plug your social channels in. That way you can easily keep your gallery updated and new, without having to constantly add pictures. They have a whole page not only devoted to their own Instagram pics, but user generated content where clients use the #bleachlondon hashtag. Plugging in your Instagram content not only creates a living gallery, but it's a way to keep in touch with those elusive website visitors that you might not have heard from ever again. You may have found this list overwhelming. Maybe you said to yourself, "I've got to add in a new about page, more Instagram pictures, then I need a Google Map and I can't forget about email!". Hold up. More is not always better. You don’t need a ton of pages and info and text to make an impression. Just take a look at how short and sweet their homepage is, how few extra pages they have, and you'll be inspired to have a website that's just as clean. Remember that on your website, every image, paragraph and page should have a purpose, and that purpose should be directed towards the needs of your clients and visitors. They want to find information and inspiration quickly, so keep it simple for them! Now go and make your website awesome! I hope this blog post helped you to get inspired with different ways to make your salon website beautiful, but more importantly, functional. Whether it's finding ways to keep in touch with your website visitors, making it easier for them to book an appointment, or just making your writing better, I hope you found something useful to apply to your own business. If you're looking for more ideas to grow your salon through online marketing, I highly suggest starting with a really strong visual brand. If you want an expressive colour palette, images that pop, and designs that show the world who you really are, download my top downloaded eBook "The Ultimate Guide to Creating a Beautiful Salon Brand." Download the free eBook below!